In June 2018, the Supreme Court issued its decision in Janus v. AFSCME Council 31, a case advanced by wealthy special interests. 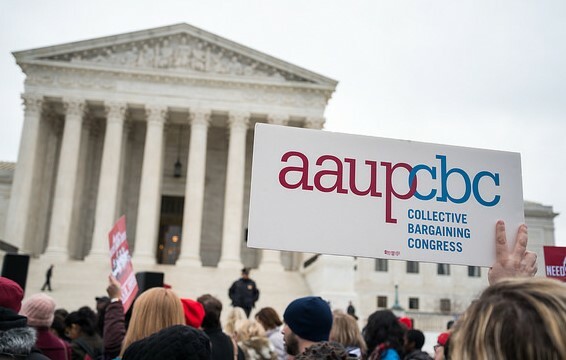 A narrow majority of justices ruled that non-union members, who share in the wages, benefits, and protections that have been negotiated into a collectively bargained contract, may not be required to pay their fair share for the cost. Although this decision was not unexpected, it is disappointing. On the surface, the decision may seem like a technical one that doesn’t affect many faculty. But Janus and similar court cases and legislative initiatives are part of a broad assault on public institutions and the common good. They seek to roll back protections for working people, lessen public support for civic building blocks such as education, and diminish the ability of unions to have a positive impact. 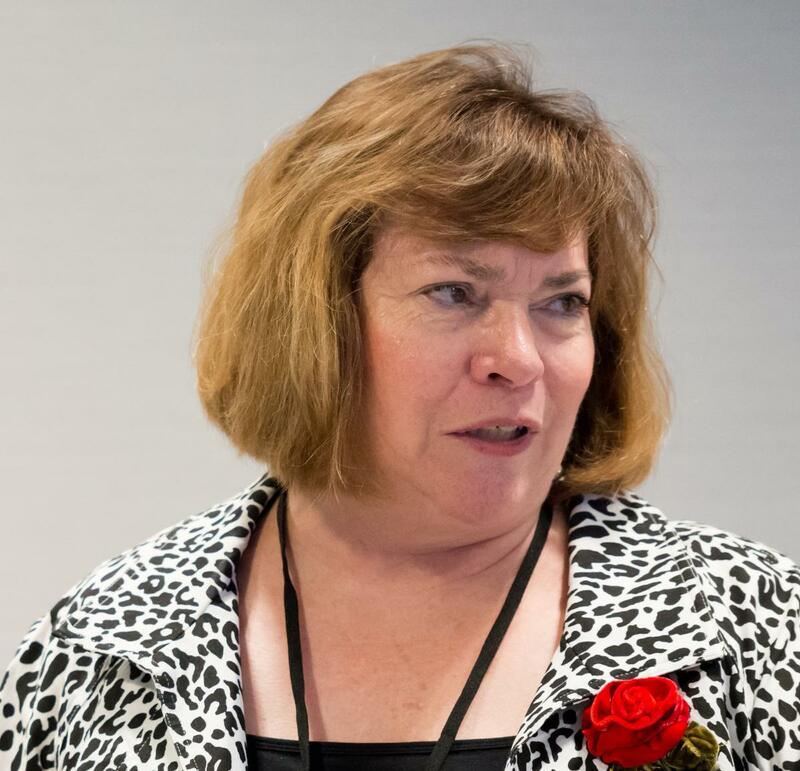 AAUP members and chapters on campuses across the country advocate for academic freedom, professional values and standards, and the faculty voice in higher education. Our collective voice is a powerful force to set standards and create better workplaces. Together, we work to ensure safe environments and quality higher education. Together, we defend academic freedom, shared governance, and due process protections. Standing together also makes it possible for us to negotiate affordable healthcare, a fair return on our work, and the ability to retire with dignity. Our freedom to join together in unions to set standards and create fair rules for working families is critical at a time when higher education faces extreme corporatization. We recognize higher education as a public good and a building block of democratic society that should be broadly accessible. But wealthy interests often view it as a business or commodity to be purchased by individuals for their individual benefit. Our work is a challenge to their economic advantage and political power. 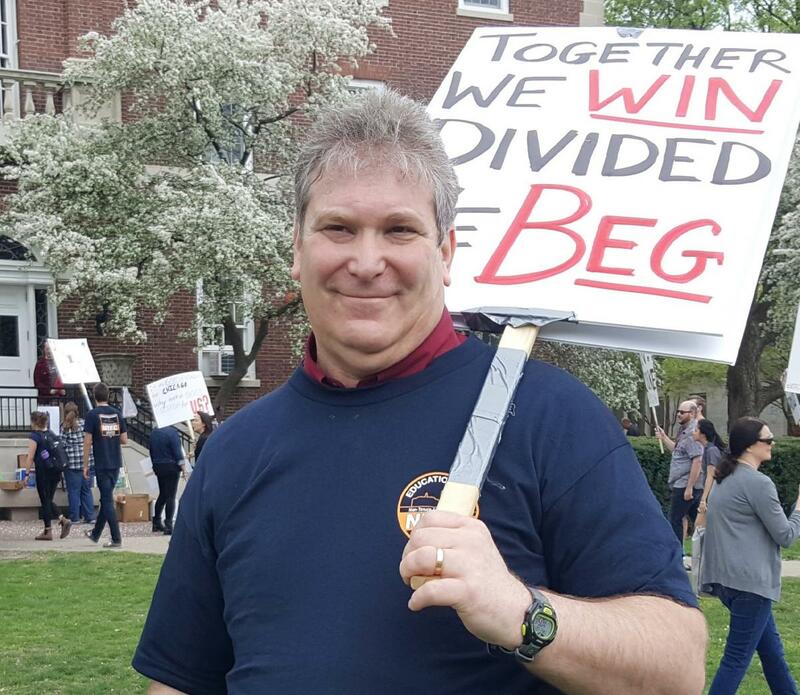 As we face unprecedented challenges, AAUP members are coming together in the One Faculty, One Resistance campaign to fight for higher education and the critical role it plays in this country. Together, we continue to fight for our students, our campuses, and our communities. We say, loudly and clearly, that strong universities and well-educated citizens are essential to our survival as a democracy. That’s why our work as educators, union members, and advocates has never been more important than it is now. What Can College and University Faculty Learn from the Teachers in West Virginia? Remarks by AAUP president Rudy Fichtenbaum at the 104th Annual Meeting on June 16, 2018. Exclusive: how rightwing groups wield secret 'toolkit' to plot against US unions. From The Guardian. The racist roots of the Janus case. From the Clarion, the newspaper of the Professional Staff Congress, CUNY. Janus, Agency Fees, and the First Amendment. From the Academe blog. Behind Janus: Documents Reveal Decade-Long Plot to Kill Public-Sector Unions. From In These Times. West Virginia Teachers Are Showing How Unions Can Win Power Even If They Lose Janus. From In These Times. These Cities Aren’t Waiting for the Supreme Court to Decide Whether or Not to Gut Unions: They’re finding ways to support organizing now. From the Nation. Unions Helped Integrate America. The Supreme Court Could End That This Year. From the Daily Beast. The Recent Teacher Strikes Are about More than Just Teachers. From Pacific Standard.